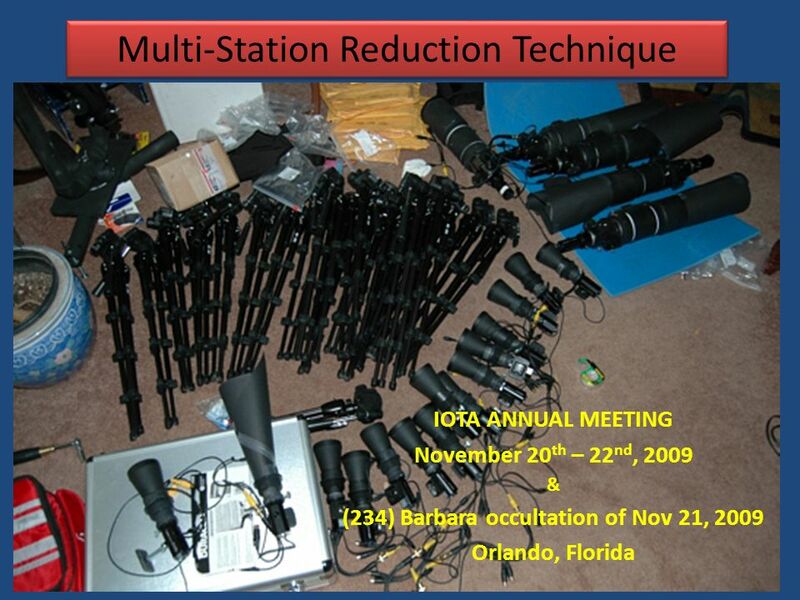 Multi-Station Reduction Technique IOTA ANNUAL MEETING November 20 th – 22 nd, 2009 & (234) Barbara occultation of Nov 21, 2009 Orlando, Florida. 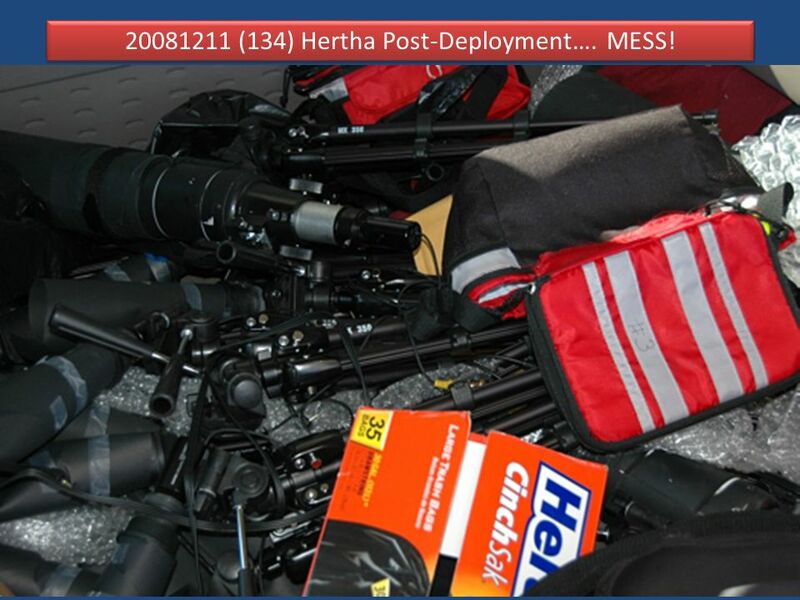 4 20081211 (134) Hertha Post-Deployment…. 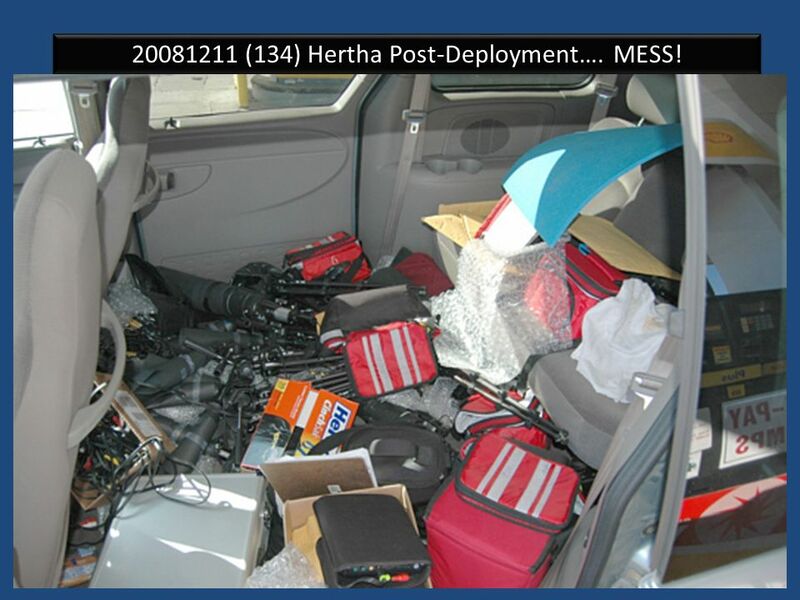 MESS! 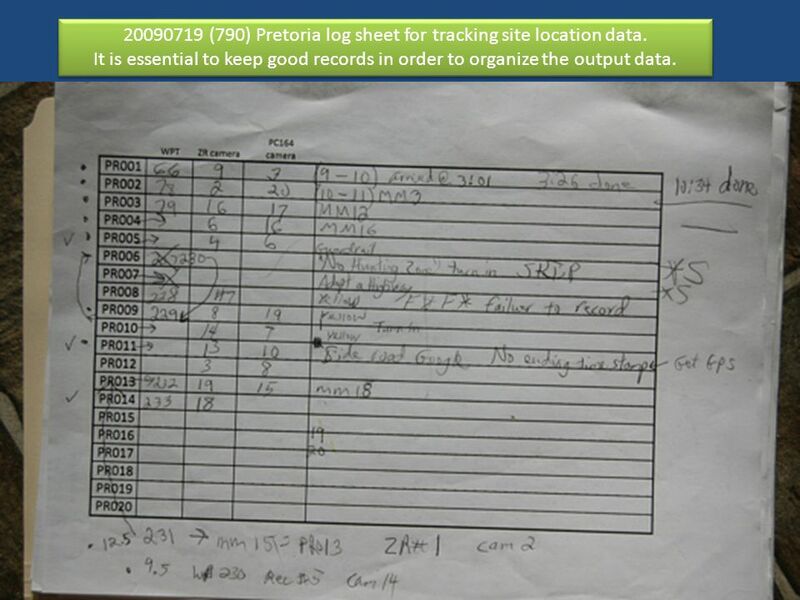 6 20090719 (790) Pretoria log sheet for tracking site location data. 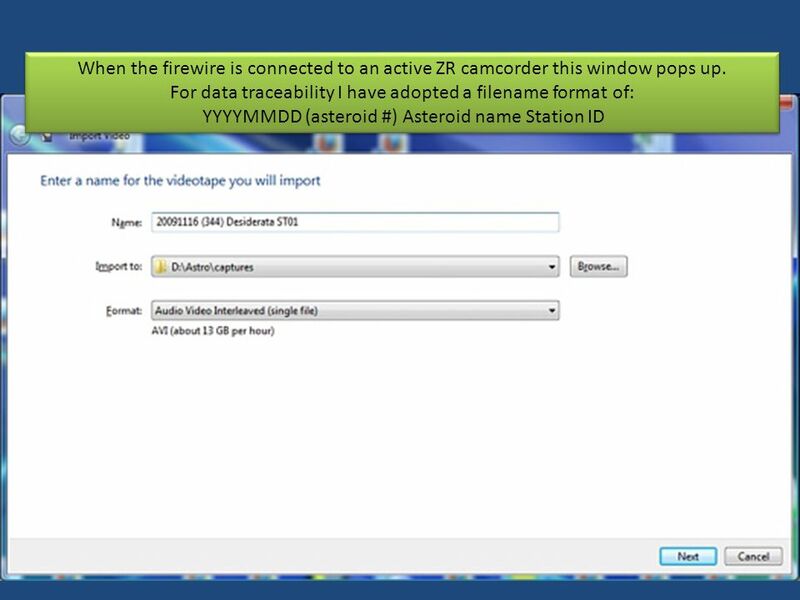 It is essential to keep good records in order to organize the output data. 20090719 (790) Pretoria log sheet for tracking site location data. 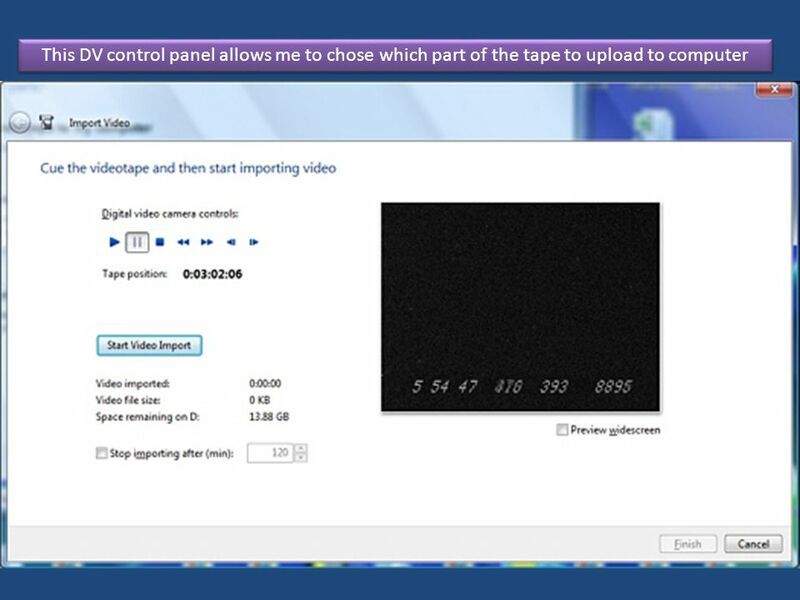 It is essential to keep good records in order to organize the output data. 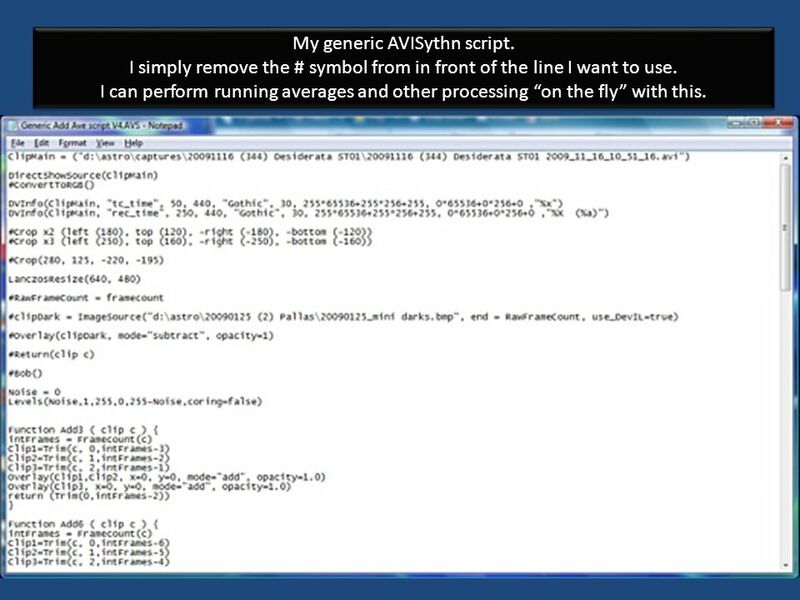 10 My generic AVISythn script. I simply remove the # symbol from in front of the line I want to use. I can perform running averages and other processing on the fly with this. 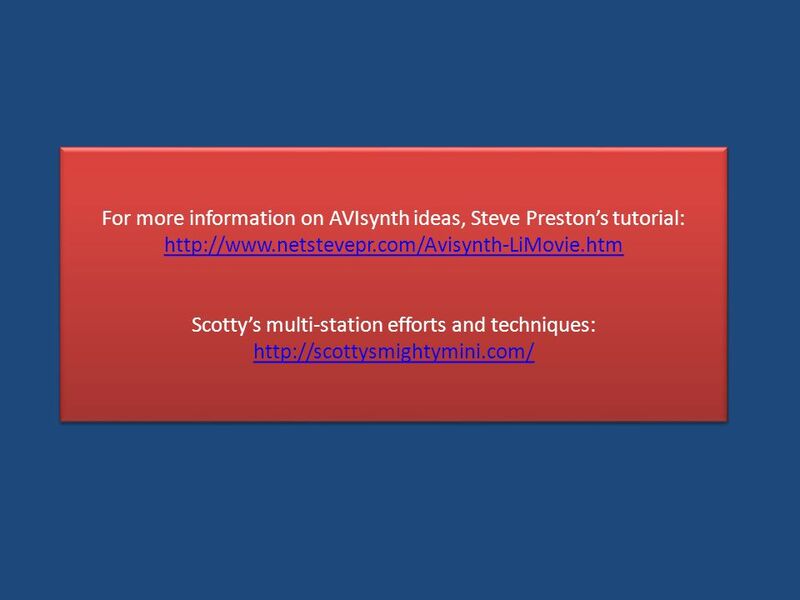 My generic AVISythn script. I simply remove the # symbol from in front of the line I want to use. I can perform running averages and other processing on the fly with this. 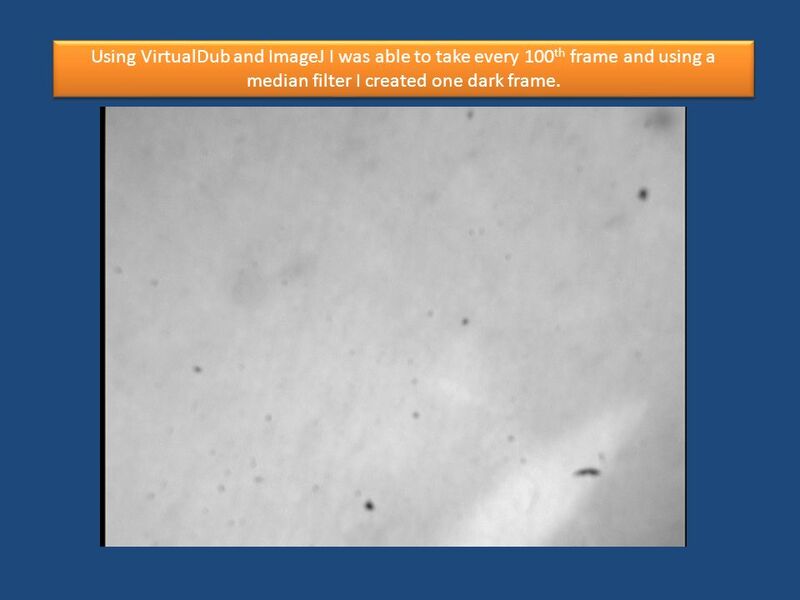 12 Using VirtualDub and ImageJ I was able to take every 100 th frame and using a median filter I created one dark frame. 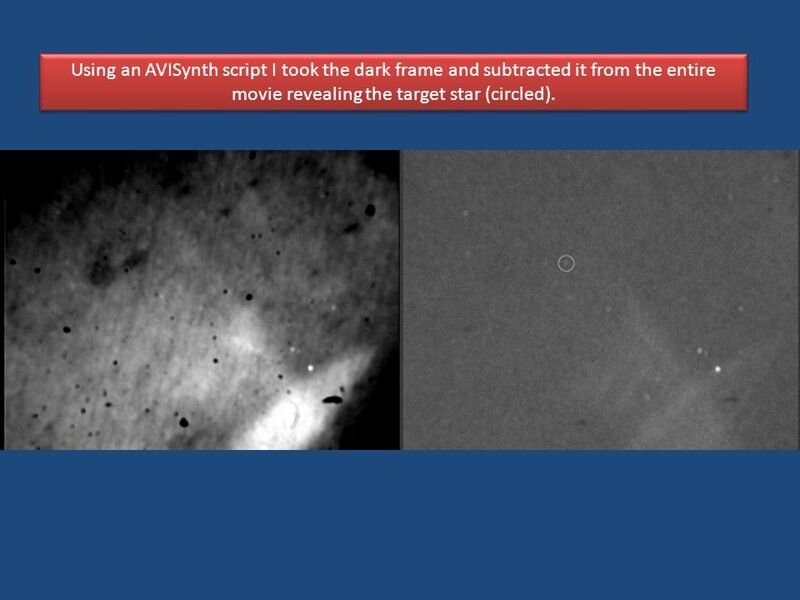 13 Using an AVISynth script I took the dark frame and subtracted it from the entire movie revealing the target star (circled). 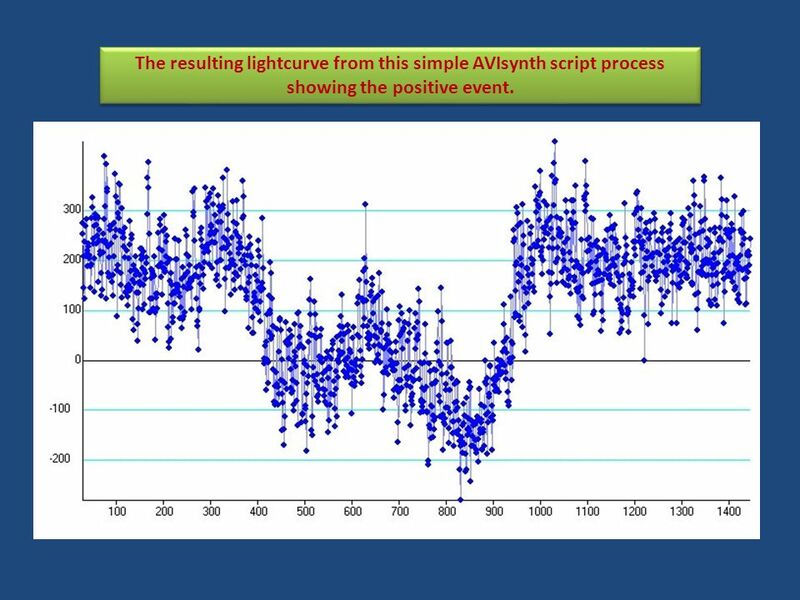 14 The resulting lightcurve from this simple AVIsynth script process showing the positive event. 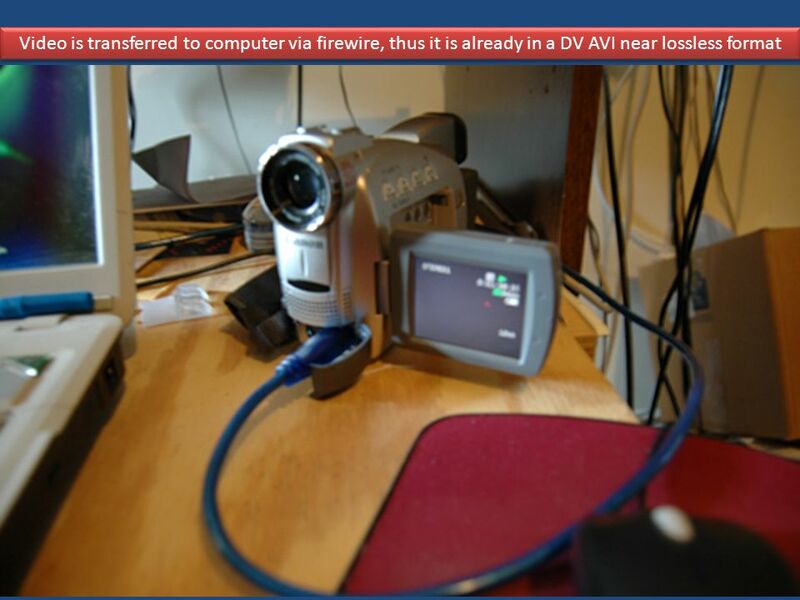 17 Using AVISynth you can access the embedded frame counter and internal clock of the miniDV recorder. 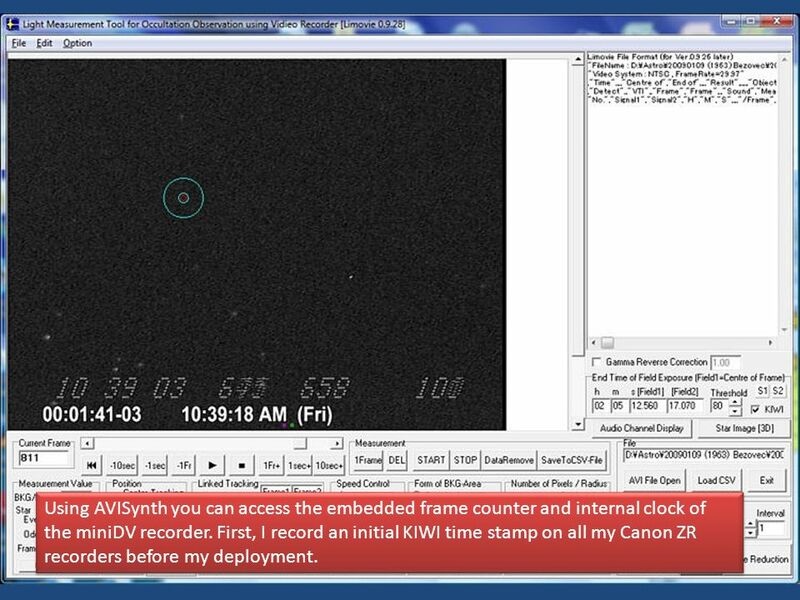 First, I record an initial KIWI time stamp on all my Canon ZR recorders before my deployment. 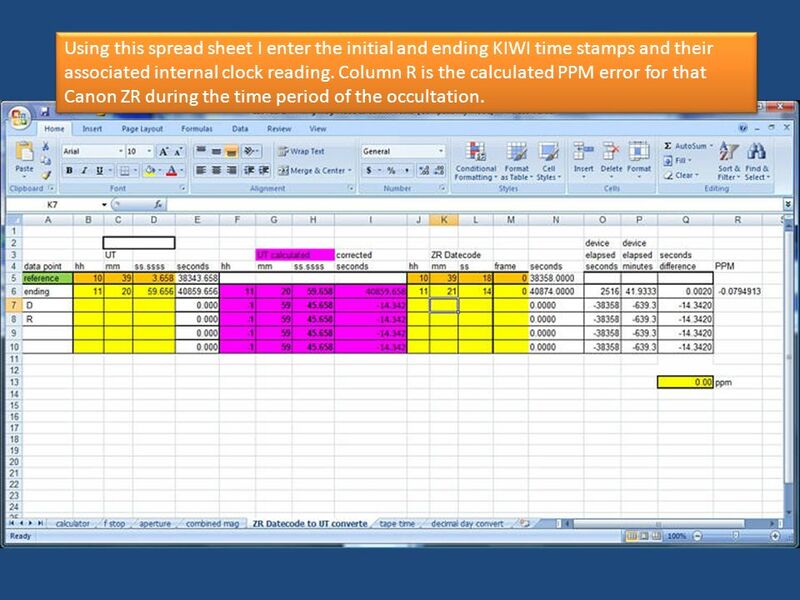 19 Using this spread sheet I enter the initial and ending KIWI time stamps and their associated internal clock reading. 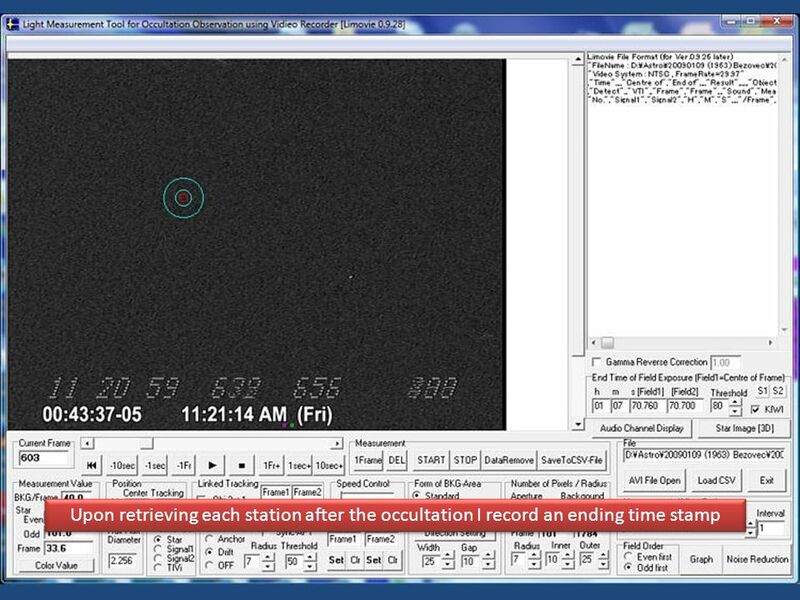 Column R is the calculated PPM error for that Canon ZR during the time period of the occultation. 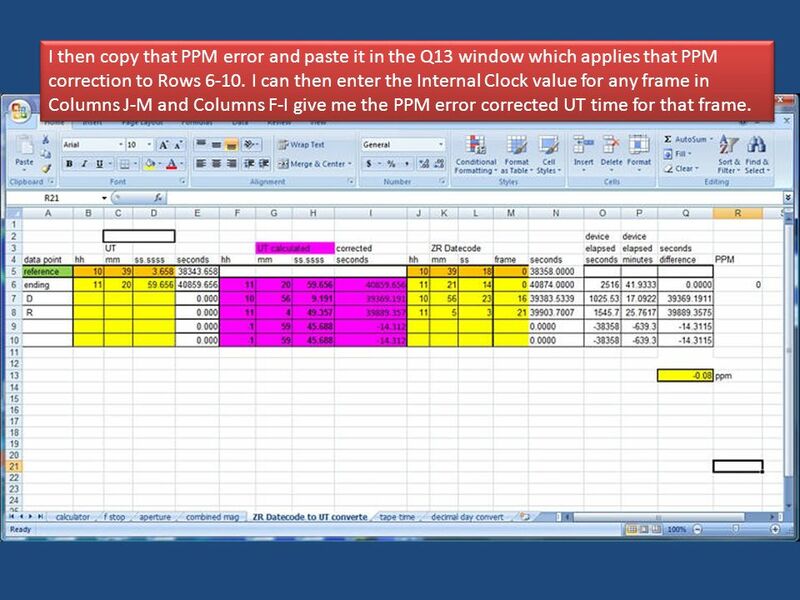 20 I then copy that PPM error and paste it in the Q13 window which applies that PPM correction to Rows 6-10. I can then enter the Internal Clock value for any frame in Columns J-M and Columns F-I give me the PPM error corrected UT time for that frame. 21 This is a table of random frame clock times of a 1 hour recording to test this method. The standard deviation of any derived time = 0.013 seconds. 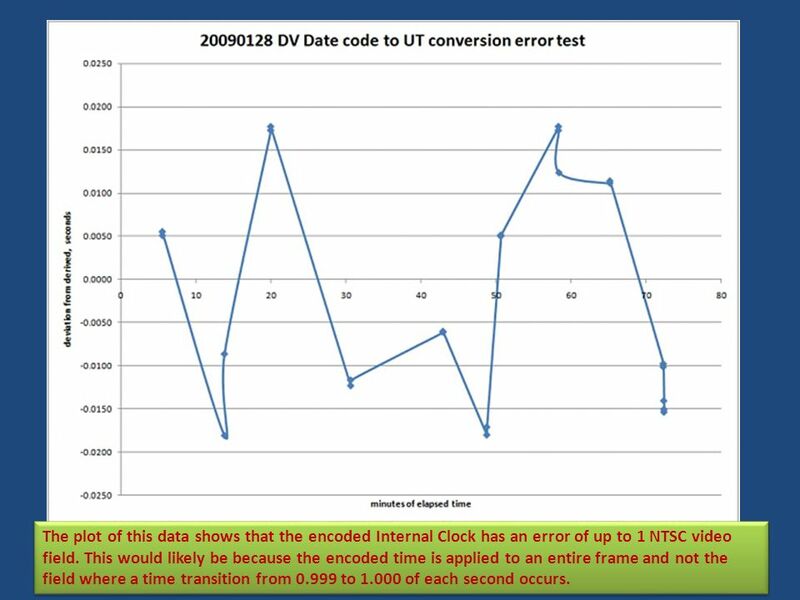 22 The plot of this data shows that the encoded Internal Clock has an error of up to 1 NTSC video field. This would likely be because the encoded time is applied to an entire frame and not the field where a time transition from 0.999 to 1.000 of each second occurs. 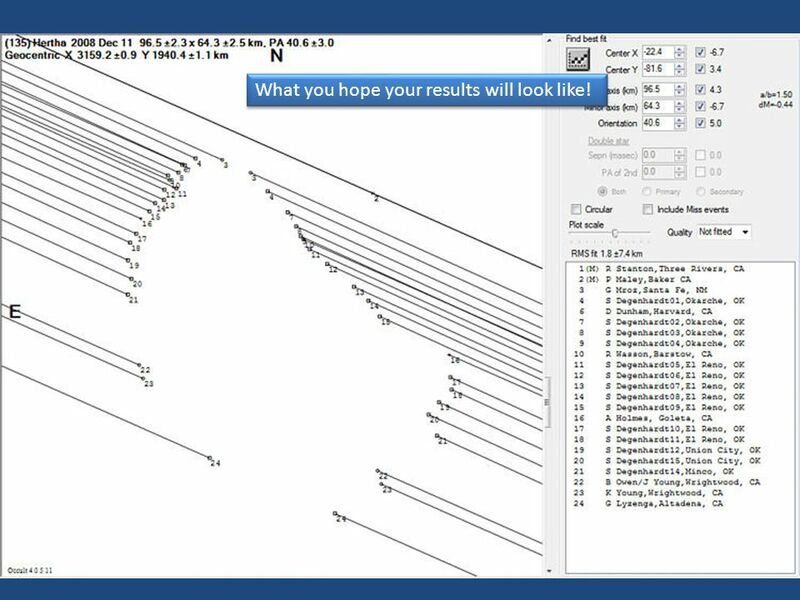 23 What you hope your results will look like! 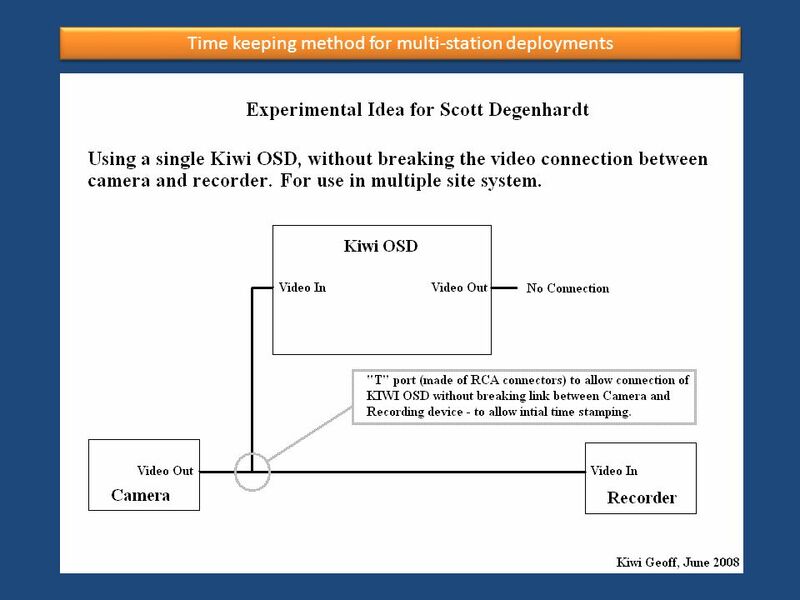 Download ppt "Multi-Station Reduction Technique IOTA ANNUAL MEETING November 20 th – 22 nd, 2009 & (234) Barbara occultation of Nov 21, 2009 Orlando, Florida." 2017/3/25 Test Case Upgrade from “Test Case-Training Material v1.4.ppt” of Testing basics Authors: NganVK Version: 1.4 Last Update: Dec-2005. NWCA OPC Coaches Tutorial Roster, Schedules, Weigh-Ins, Results, and Reports. TOYS OR TOOLS? Presented by: Teresa Oakley & Kary Parchman TETC DECEMBER 3, 2010 NASHVILLE, TN. IOTA at NEAF 2013 The IOTA Booth At The 2013 Northeast Astronomy Forum Bruce Berger, Ted Blank, Al Carcich, Ken Coles, Steve Conard, Bruce Holenstein IOTA. Occultations during the rest of 2008 David Dunham IOTA meeting, 2008 Sept. 14. What is DDRA? DDRA = Dirt Digger Running Average (for those hard to get out signals!) 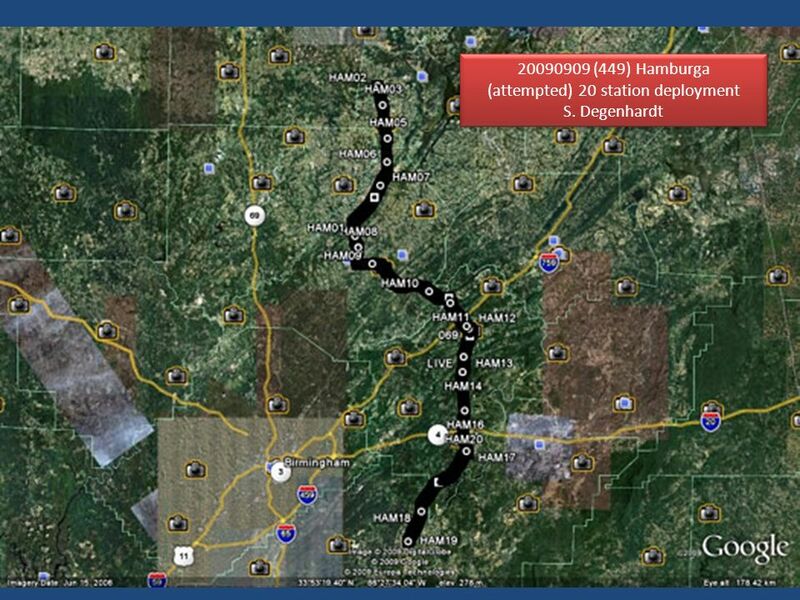 Purpose: When unable to lock on a target object in LiMovie, DDRA. 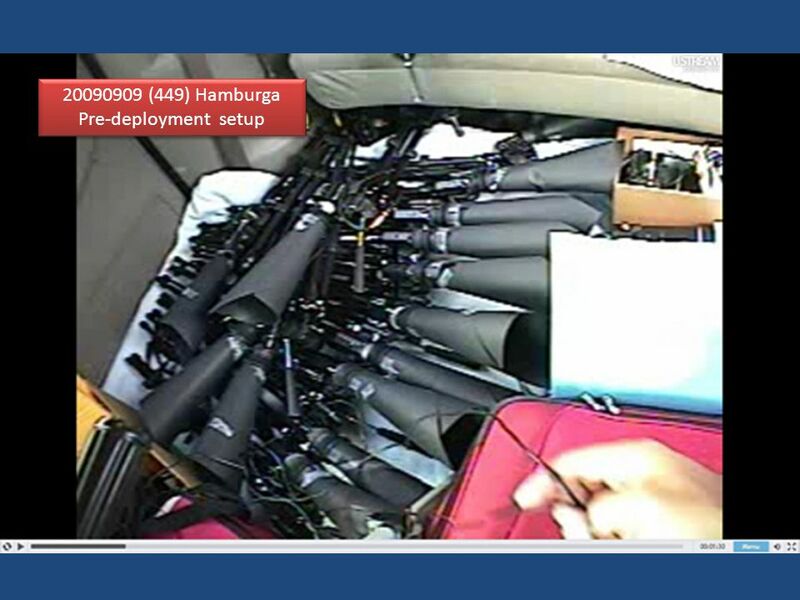 Changing a Large Deployment at the Last Minute – more Eudora David Dunham July 16, 2011. Hiraoka Occultation Pushing the limits on what a backyard observer can do with modest amateur equipment By Tony George Umatilla, Oregon. Welcome to the International Occultation Timing Association 2010 November 17 IOTA/Middle East Conference David W. Dunham, President, IOTA. BROADCASTING OCCULTATIONS ON THE INTERNET IOTA ANNUAL MEETING November 20 th – 22 nd, 2009 & (234) Barbara occultation Nov 21, 2009 Orlando, Florida IOTA. 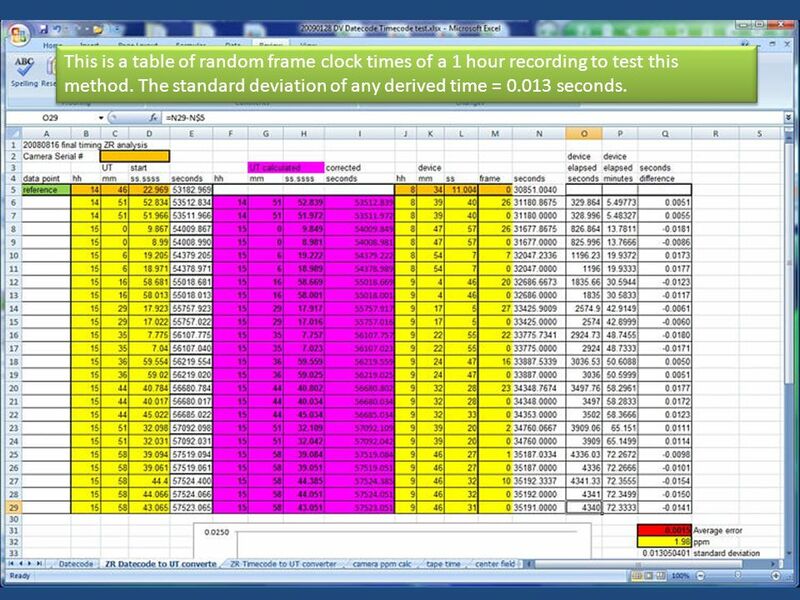 Timing Analysis Spreadsheet for Pre/Post Time Stamped Videos Presented to 2013 IOTA Annual Meeting Brad Timerson, Tony George. 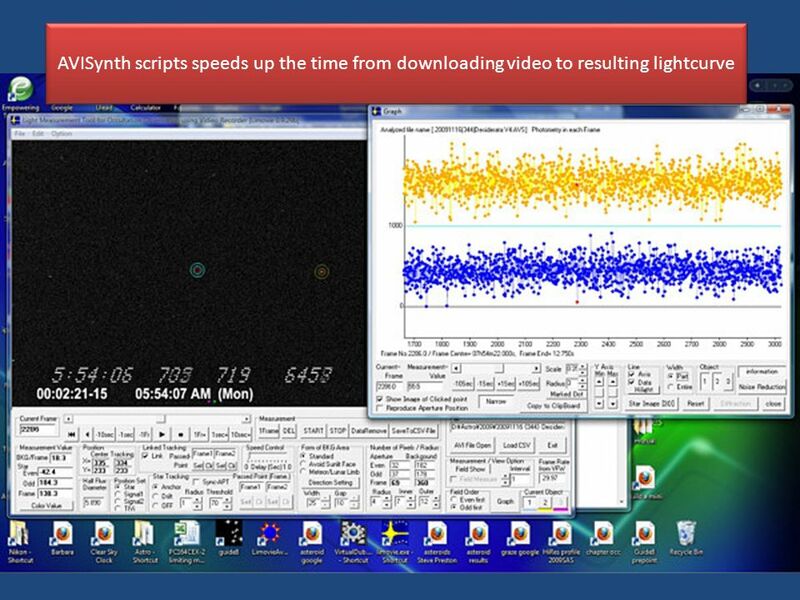 Astronomical Video Reduction Software 1 Hristo Pavlov IOTA 2011, 17 June 2011. 2011 IOTA Conference IOTA Annual Meeting July 16-17, 2011 Sierra College, Rocklin, California USA. MULTI-STATION COOPERATIVE ASTEROID OCCULTATION SCIENCE WITH SWRI Paul D. Maley/IOTA And Bill Merline/Southwest Research Institute 1. 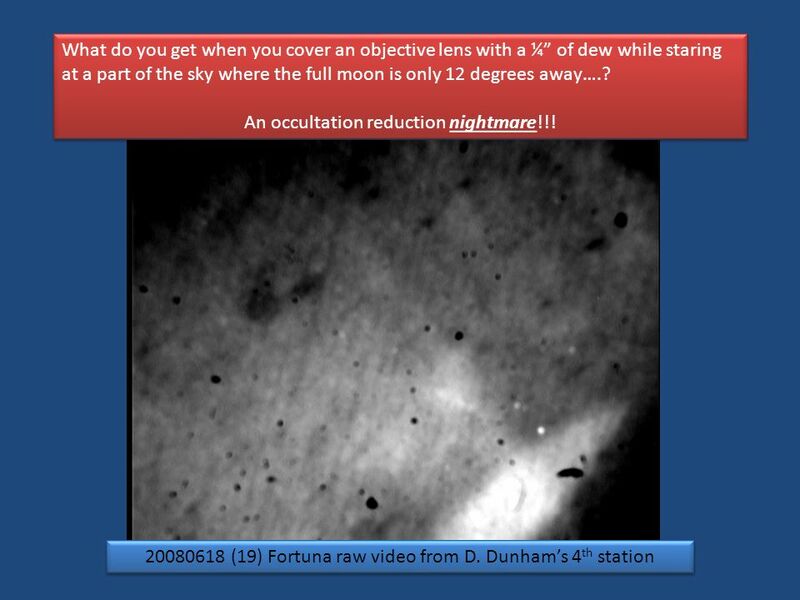 1 An Excel Report Form and Macro for Lunar Occultations Brad Timerson - USA John Talbot - NZ. Finding Grazing Occultation Sweet Spots using Kaguya Profiles 2013 August 24, Barcelona, Spain 32nd European Symposium on Occultation Projects and 2013. LIMITED FUNDING OF EVENTS USING IOTA STATIONS PAUL D. MALEY (IOTA), BILL MERLINE AND BRIAN ENKE (SwRI) IOTA ANNUAL MEETING LAS VEGAS NV OCTOBER 20, 2012. Vanderbilt Business Objects Users Group 1 Reporting Techniques & Formatting Beginning & Advanced.